We’re here to help you reduce the noise in your life and achieve beautiful sounding room acoustics in your facility. Our Mission: provide elegant, sustainable solutions to the toughest problems in architectural acoustics. We focus on providing solutions to the noise problems that plague green buildings, and on applying these solutions to the design of recording studios and other acoustic spaces. Our central green goal: Improve your sound and reduce your costs, while minimizing environmental impact. Check out our acoustics portfolio, or learn more about our sustainability philosophy. If you’d like to join our revolution, visit our careers and partnerships page. For room layout and acoustic treatment assistance, visit our room treatment consulting page. If you’re looking to build your dream studio, consider our recording studio design service. 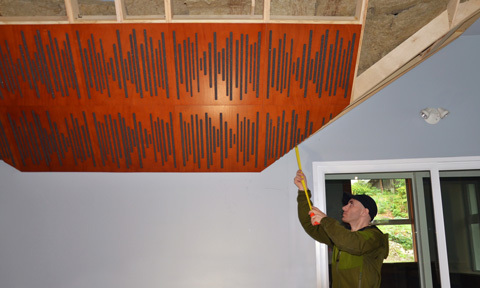 Arqen Acoustics is a division of WestRiver Industrial Inc.
Tim Perry is an acoustical designer, audio nerd and sustainable architecture addict. He graduated from the University of Victoria with a Bachelors in Electrical Engineering plus a computer music option. At UVic he specialized in acoustic signal processing. Lives to design and create. Tim’s design passion lit up in high school, when he realized his backyard projectile launchers were doing the world no good. So he started learning architectural drafting, then took gigs as a civil drafter and electrical designer at Tartan Engineering. At sixteen he began recording his own music, with painful sounding results. He later honed his audio chops as a recording technician for the UVic School of Music, and as an acoustics researcher at Garritan Music Technologies. 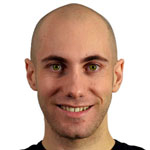 At Garritan, Tim also designed user interfaces and developed a passion for human-centered design. Musical and sustainable things, mostly. Over the past 7 years Tim performed research in recording studio acoustics, string instrument acoustics and physical modeling sound synthesis. 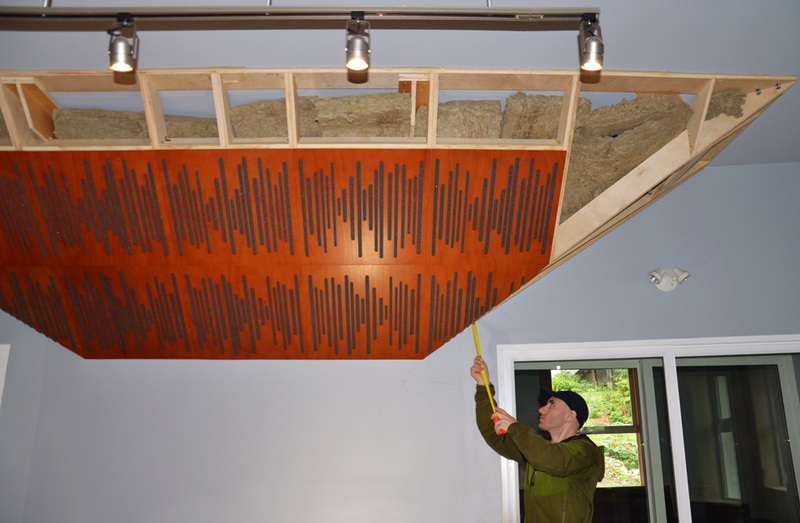 He enjoyed that research, but he wanted to harmonize his acoustics background with his love of sustainable design. So in 2011, Tim founded Arqen Acoustics. Through Arqen.com, Tim offers room treatment consulting and recording studio design services. Tim also loves playing guitar, writing and exploring the outdoors. Other projects in Victoria, BC. Following his interest in urban design, Tim is founding The Victoria Vine, a project that explores sustainable architecture and living in Victoria, BC. By presenting green building projects, neighbourhood guides, community gardens and local initiatives (like urban farming and natural building), the goal is to provide resources to make sustainable living the path of least resistance for locals on Vancouver Island. Eventually, Tim hopes The Victoria Vine can influence construction projects in the city of Victoria and perhaps, some day, help with the sustainable development of British Columbia… and beyond. ENGINEERING ADVISOR, PRINCIPAL ENGINEER AT WESTRIVER INDUSTRIAL INC.
Charlie is a mechanical engineer with over thirty years’ experience in engineering design, construction, commissioning and project management. He received his Bachelors in Mechanical Engineering (with an Aeronautical focus) at Carleton University. Charlie has led various multi discipline teams for projects in North America, Africa, Europe and South America. He has held various positions of significant responsibility during his career, including Chief Mechanical Engineer and Manager of Engineering for EPCM companies. Charlie is recognized for integrity in engineering, safety in design, team development and leadership. He loves hands-on work and his passions include canoeing, skiing and woodworking. Artur provides strategic consulting and web development for Arqen. He is also a Software Engineer at Facebook. He graduated from the University of Waterloo with a Masters in Computer Science, and earned his Bachelors in Computer Science (with a Business Option) from the University of Victoria. Artur excels at creative problem solving across multiple disciplines including user experience design and software development. 100% privacy. We promise never to spam you.